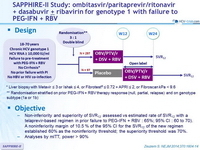 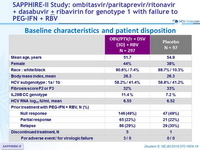 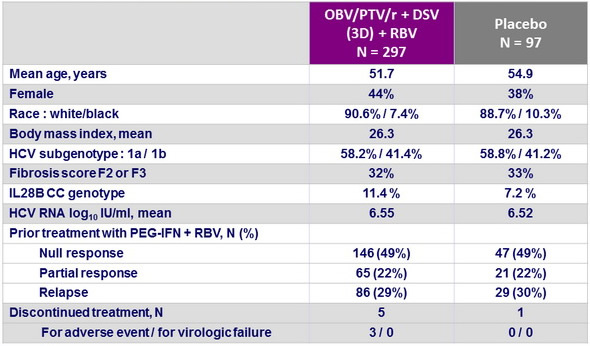 Non-inferiority and superiority of SVR12 assessed vs estimated rate of SVR12 with a telaprevir-based regimen in prior failure to PEG-IFN + RBV : 65%; 95% CI : 60 to 70). 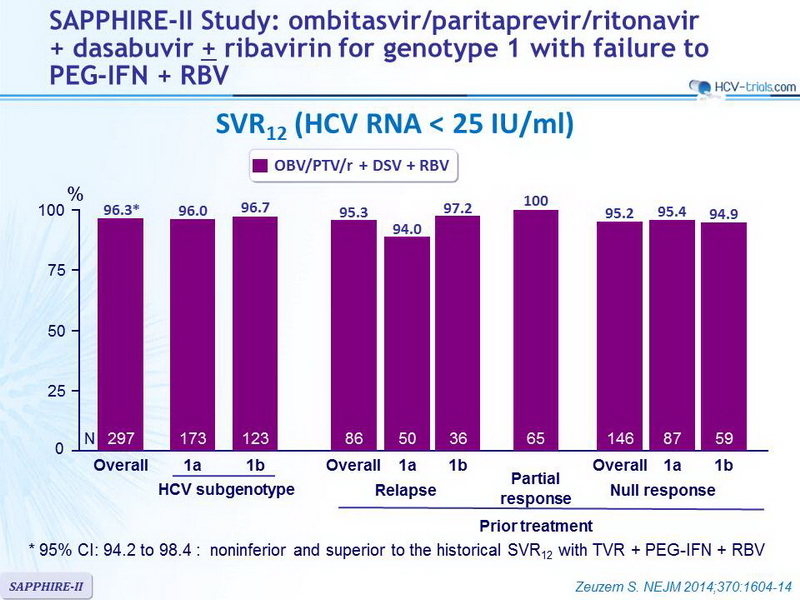 A noninferiority margin of 10.5 % of the 95% CI for the SVR12 of the new regimen established 60% as the noninferiority threshold; the superiority threshold was 70%. 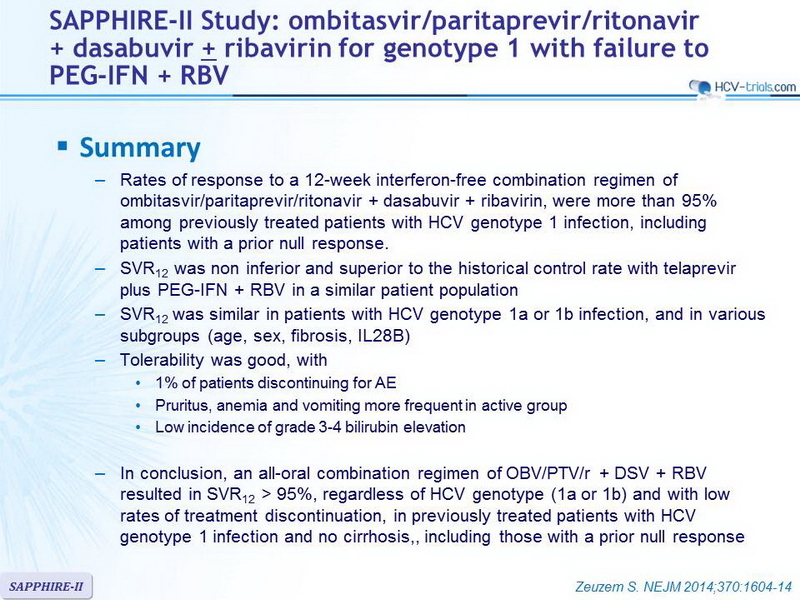 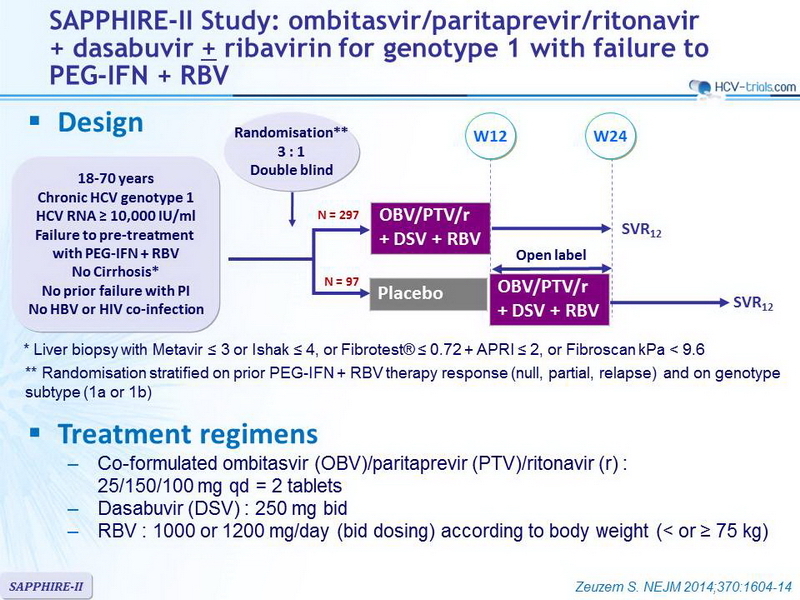 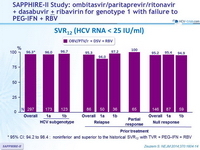 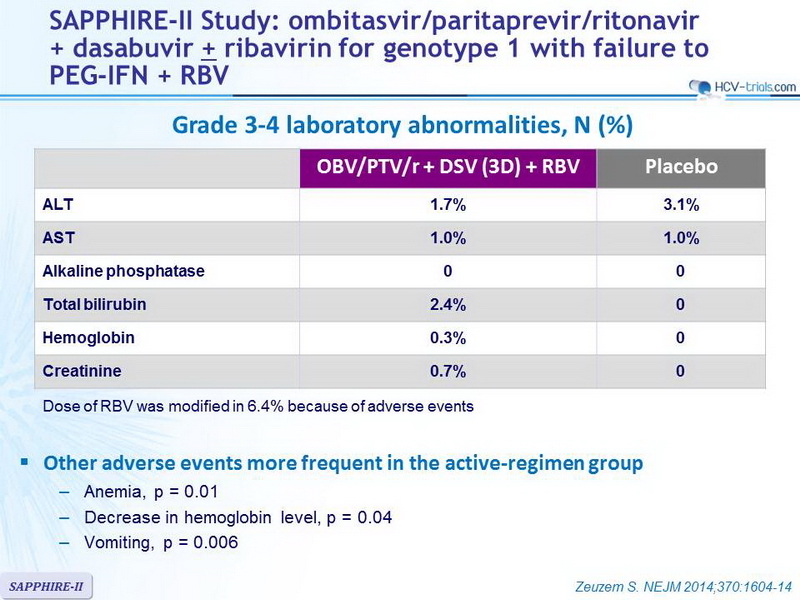 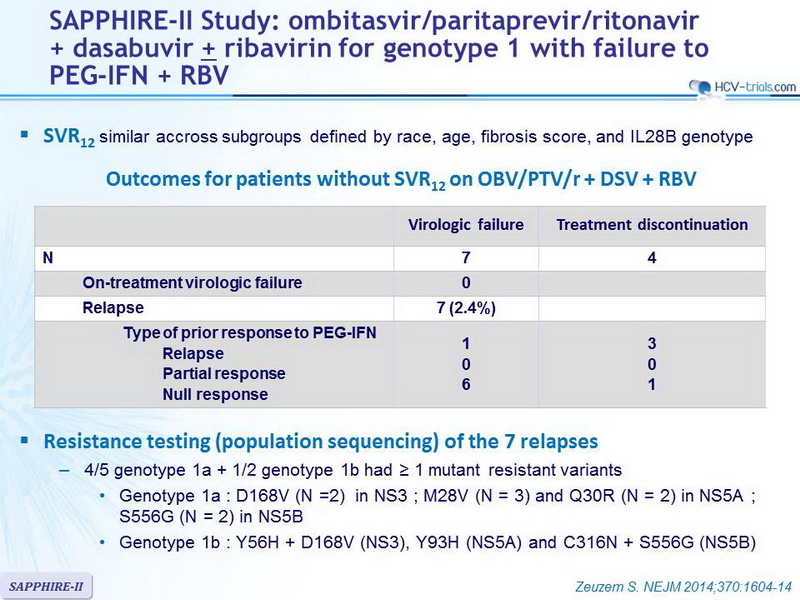 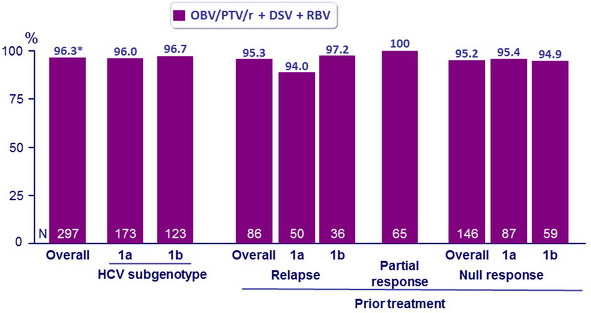 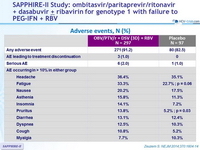 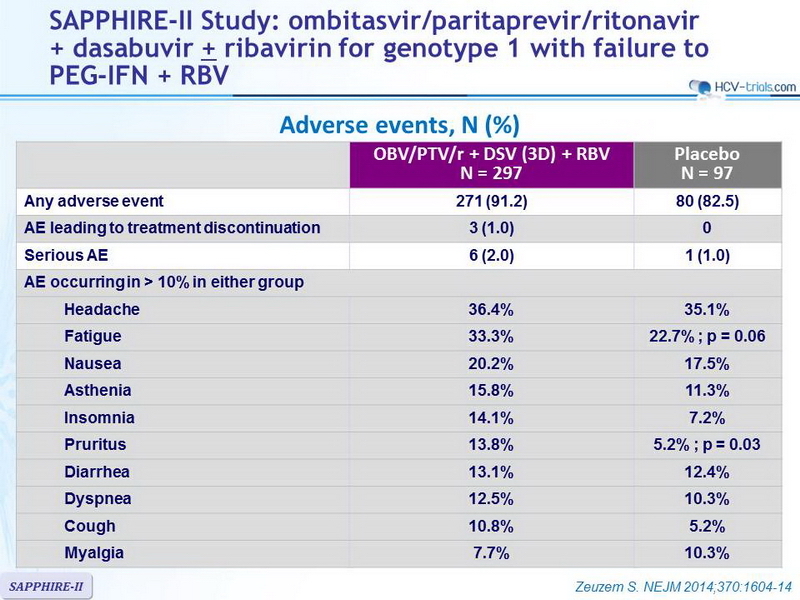 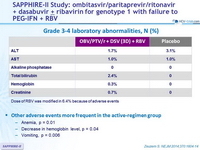 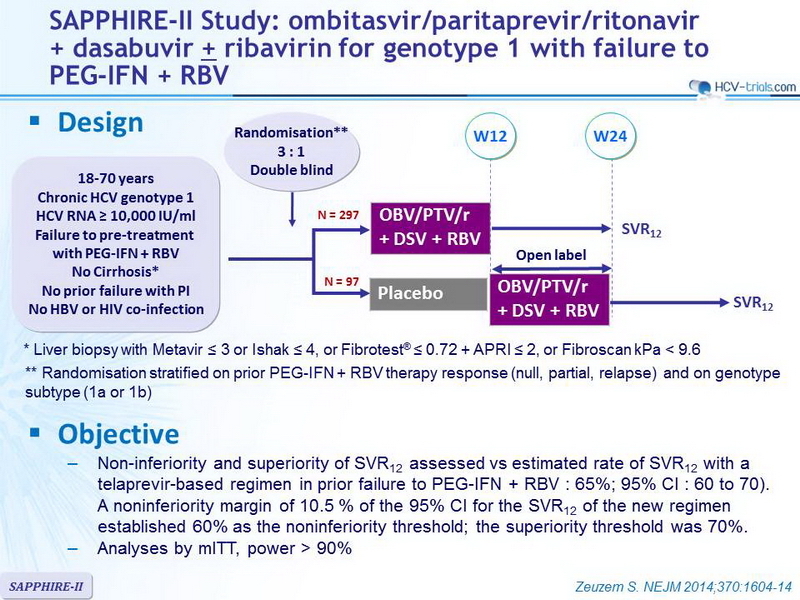 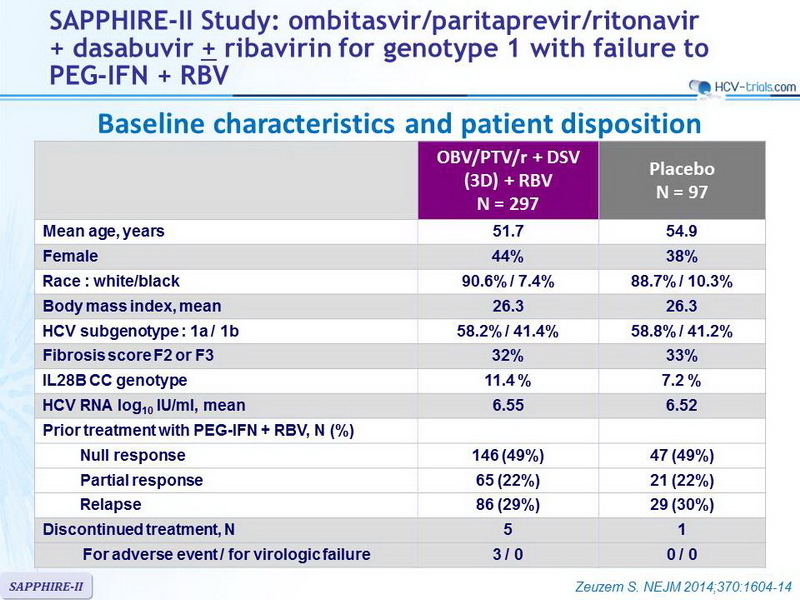 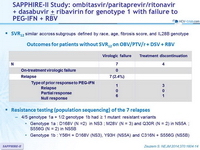 Rates of response to a 12-week interferon-free combination regimen of ombitasvir/paritaprevir/ritonavir + dasabuvir + ribavirin, were more than 95% among previously treated patients with HCV genotype 1 infection, including patients with a prior null response.